Comprised of 11 full-time pharmacists and more than 75 pharmacy technicians, the veterinary-trained pharmacy team at Vetsource® works hard to compliment the efforts of our partner practices and deliver the highest level of service to their clients. 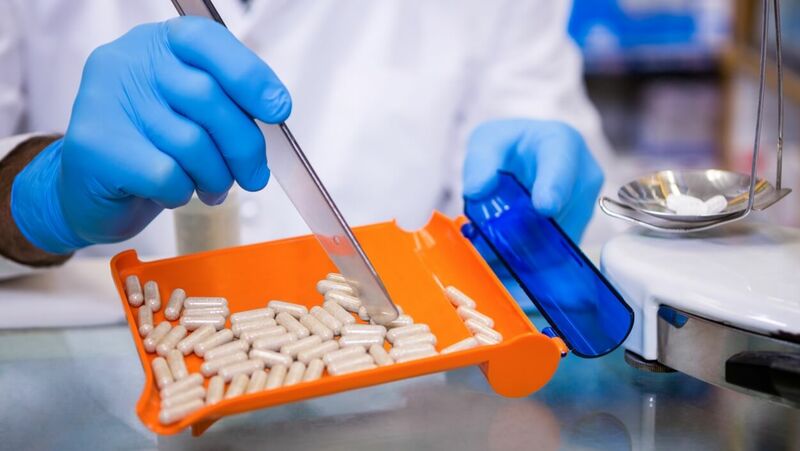 Each pharmacist on the Vetsource team is trained in veterinary pharmacology to ensure they can appropriately perform a prescription Drug Utilization Review (DUR) on an animal and are in sync with you, the prescriber. This contrasts sharply with many retail pharmacists that do not have the training or resources to understand the nuances of species-specific drug use. Meet the Vetsource pharmacists who are dedicated to providing you and your clients with exceptional service. Laura graduated from the University of Toledo, Ohio, in 1993 with a BS in pharmacy. Over the next 14 years she worked as a pharmacist in both the retail and long-term care sectors, with 8 of those years spent as Pharmacist-in-Charge. She and her husband Bob moved to Portland, Oregon, in 1999 from Royal Oak, Michigan. 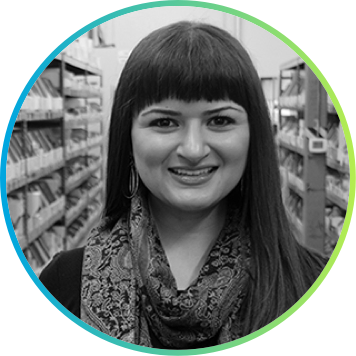 She joined Vetsource in 2007 as Pharmacist-in-Charge and was promoted to Director of Pharmacy in 2011. She is currently licensed in 13 states. Working for Vetsource has been the highlight of Laura’s career. She is exceptionally passionate about her team and the amazing work they do serving pets and those who care for them. Away from work, Laura and Bob run an organic farm with cattle, sheep and pastured poultry. They have two Quarter Horses — Rocky and Cisco — with whom they enjoy trail riding and camping. They also have three dogs — a 9 -year-old Staffordshire/hound mix named Rusty, a 5-year-old German Shepherd/Lab/herding dog mix named Onyx, and Mickey, a 3-year-old pit bull mix. Laura’s other interests include hiking, gardening, canning/preserving, writing and drawing. Originally from Boston, MA, Susan received her Pharm.D. from Virginia Commonwealth University and her BFA in animation from the Massachusetts College of Art. She moved to Portland, Oregon, in 2012 with the intention of working as a full-time freelance artist and animator. 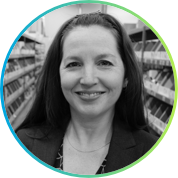 Susan initially joined the Vetsource team as an on-call pharmacist, but she enjoyed her position so much that she eventually came aboard full time. Since her move, she has loved every minute of living in the beautiful Pacific Northwest. In her spare time, she enjoys exploring the bountiful nature and microbreweries in and around Portland. Yili was born in Taiwan and grew up in New York, where she attended the State University of New York at Buffalo and graduated with her Pharm.D. in 1998. 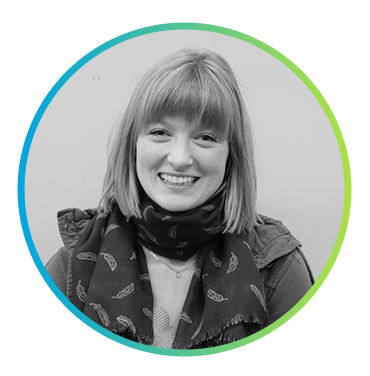 She moved to Portland, Oregon in 2005, and is currently pursuing a Masters in Applied Psychology with a concentration on Organizational Psychology from the University of Southern California. 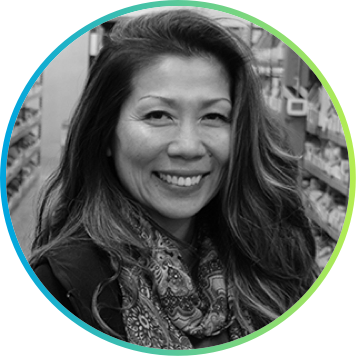 Before joining the Vetsource team as Pharmacy Workflow Manager in September 2017, Yili worked as a staff pharmacist and Pharmacist-in-Charge in both the hospital and retail sectors, a hospital account executive, and a therapeutic interventional specialist. In her free time, Yili enjoys spending time with her husband, son, daughter and their pet labradoodle named KD. She enjoys volunteering at her children’s school, attending their sporting events, traveling, golfing, scuba diving, spending time with friends and attending events at McMenamins Edgefield in Troutdale, Oregon. Dawn graduated from Oregon State University with her Pharm.D. degree in 2004. After graduation, she worked in both the retail and home infusion pharmacy spaces. She spent several years working in veterinary hospitals prior to becoming a pharmacist, so when the opportunity to join the team at Vetsource presented itself in April 2012, she jumped at the chance to utilize her well-rounded experience and expand her knowledge of veterinary pharmacology. Dawn spends most of her leisure time with her family, including her husband and two children. She enjoys being involved with her daughter’s competitive gymnastics and son’s sports teams, and working on landscaping and home improvement projects. Wendy completed her Pharm. D. education at Oregon State University College of Pharmacy in 2010, where her first pharmacy job was working as a clerk in the veterinary hospital associated with the OSU College of Veterinary Medicine. 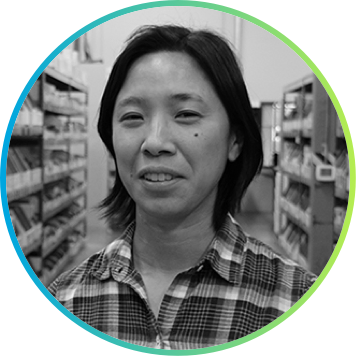 Prior to joining the Vetsource team in July of 2016, Wendy worked in pharmacist manager positions with both CVS and Target. Outside of work, Wendy enjoys camping and gaming with her husband John and their three dogs, Boomer, Melia and Dingo. Originally from Sanibel Island, Florida, Willow completed her undergraduate degree at Florida State University in 2009. She moved to Portland, Oregon, that same year to attend pharmacy school at Pacific University, where she earned her Pharm.D. in 2012. 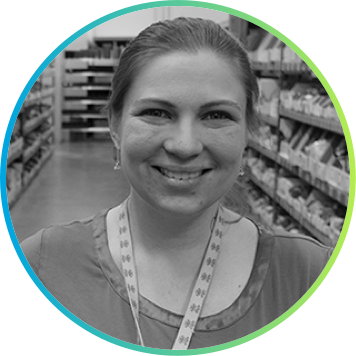 After 5 years in the retail and compounding spaces, including management roles with both Safeway and Pharmaca Integrative Pharmacy, she joined the team at Vetsource in 2017. Willow and her husband Nathan have two dogs — Koa, a chocolate Lab/Australian shepherd mix, and Maple, a Klee Kai Husky. In her free time she enjoys cooking and outdoor activities including camping, hiking and biking. Allyson graduated from Oregon State University in 2004 with her Pharm.D. degree, where she also received the Roche Pharmacy Award for displaying Excellence in Communications with patients and clinicians. After earning her degree, she worked as a pharmacist for a company in the retail space for over a decade. There, she developed an affinity for veterinary medicine and was known as the go-to pharmacist for veterinary prescriptions. She joined the Vetsource team in May of 2014 and has enjoyed her role ever since. When not at work, Allyson enjoys hobbies including training and showing her two miniature bull terriers, Toby Tyler and Mushu, in conformation and rally obedience, and taking them hiking and on trips to the beach. She also enjoys time with her family, attending Oregon State football games, taking trips to Disneyland and serving in various roles at her church. Born in Germany and raised in Arkansas, Lara earned her her BS in chemistry from the University of Wisconsin-Milwaukee and her Pharm.D. from Creighton University in Omaha, Nebraska. 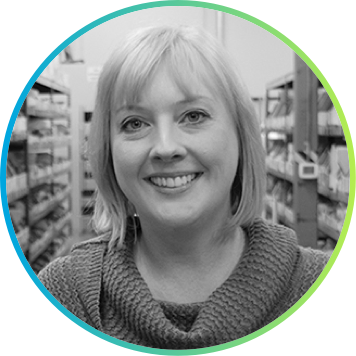 After living in various states around the country, she moved to Portland, Oregon, in 2004 and joined our pharmacy team in February of 2017. 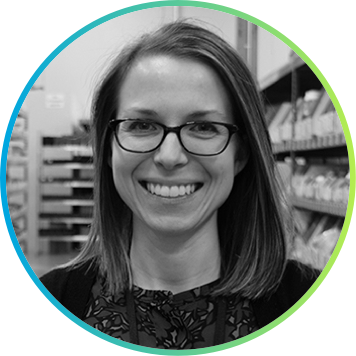 Prior to arriving at Vetsource, Lara worked in the retail pharmacy space, where about 50% of the compounded prescriptions she handled were for veterinary patients. Lara’s family includes her three children, Tennessee, Lily and Zeke. When away from the pharmacy, she enjoys many of the outdoor activities the Pacific Northwest has to offer, including rock climbing, hiking and sailing. She also shoots a mean game of pool in her 9-ball league and enjoys volunteering with the Portland Animal Welfare (PAW) team, one of the organizations served by Vetsource via charitable donations of unused products. Tinamarie found her passion for veterinary pharmacology while enrolled in a professional elective for the specialty​​ at the Massachusetts College of Pharmacy and Health Sciences in Boston. After graduating in 2011 with her Pharm.D., she entered the retail pharmacy field before relocating to Portland, Oregon, in 2013. In 2014, she left the retail space to work at an integrative pharmacy alongside holistic practitioners such as naturopathic doctors, herbalists and nutritionists, where she specialized in compounding services, including pet medications. 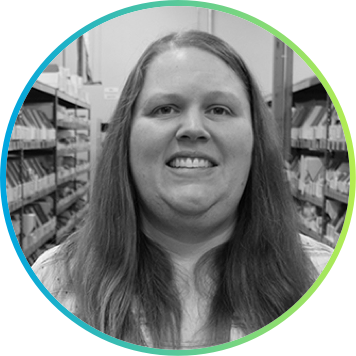 Tinamarie joined Vetsource in 2017 and could not be happier as a member of the pharmacy team. In her free time, Tina enjoys running, cooking, dancing, hiking, camping, watching sports and playing in an adult kickball league. Brian grew up in Texas, and after earning his BS in biology at Texas A&M – Corpus Christi, attended pharmacy school at Texas Tech University. Upon graduating with his Pharm.D. in 2007, he moved to the Pacific Northwest to pursue all things outdoors and eventually joined the Vetsource team as a pharmacist in 2015. In his spare time, Brian enjoys mushroom hunting, fishing and camping with his wife, daughter and their dog Gabba. On weekdays, you’ll likely find Gabba under Brian’s desk at work, wishing they were both outside playing in the woods. 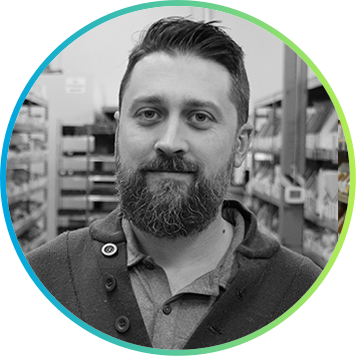 Jeff began his career in retail pharmacy as a technician in 2002 before earning his Pharm D. from St. John’s University in Queens, NY, in 2005. He and his wife Lace moved to Portland, OR, with their pit bull Mushy Cow in 2013, where they have enjoyed all the natural beauty and outdoor activities the Pacific Northwest has to offer. 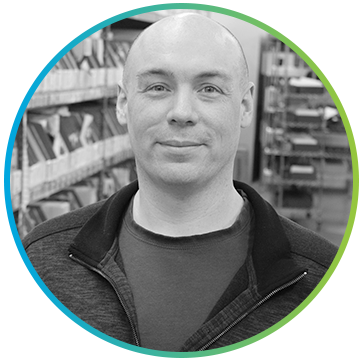 Jeff made the switch to the world of veterinary pharmacy when he joined Vetsource, first as a part-time pharmacist in October of 2017, and then as a full-time staff pharmacist in February of 2018. In addition to spending time outdoors with Lace and Mushy Cow, in his spare time, Jeff enjoys watching football and rooting for the Indianapolis Colts, lifting weights and playing video games. Detroit native Reggie found himself in Oregon courtesy of the United States Marine Corps. The wonderful culture, climate, and people captivated his heart while he was stationed on Swan Island. After earning a Doctor of Pharmacy degree in 2004 from Oregon State University/Oregon Health Sciences University, Reggie completed a post-doctoral certification in nuclear pharmacy at The Ohio State University. He served as a compounding long-term care pharmacist and in a variety of other practice settings prior to joining Vetsource in 2018. 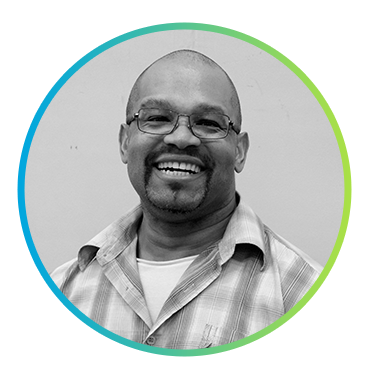 In his spare time, Reggie enjoys researching aspects of network administration and infrastructure with a focus on network security. He also likes archery, aeronautics (both drone and single-engine fixed wing), ballroom dance, cooking, and spending time with his son. Born and raised in Germany, Wiebke received a pharmacy degree from Philipps-Universität Marburg in 2013 and her American pharmacist license in 2016. During a research internship in Salt Lake City, she fell in love with the nature and outdoor sports of the American West and decided to move to the States. 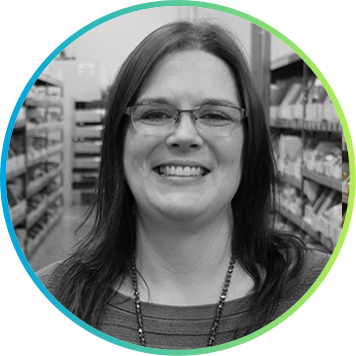 Before joining Vetsource in 2018, Wiebke worked in a range of pharmacy settings, including pharmaceutical research, compounding, and retail. Together with her husband and dog, Wiebke enjoys a variety of outdoor activities, like rock climbing, bouldering, skiing, hiking, camping, and mountain biking. She also likes cooking, baking, gardening, dancing, and running, as well as evenings spent playing board games and doing puzzles.